My parents took me to this concert when I was 14. 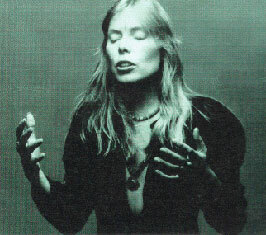 My first and last ime seeing Joni perform live. The one moment that has stayed with me all these years is during the last song, she just kept strumming the guitar as she walked off stage and ended the concert. I am so grateful that I had a chance to see her perform.